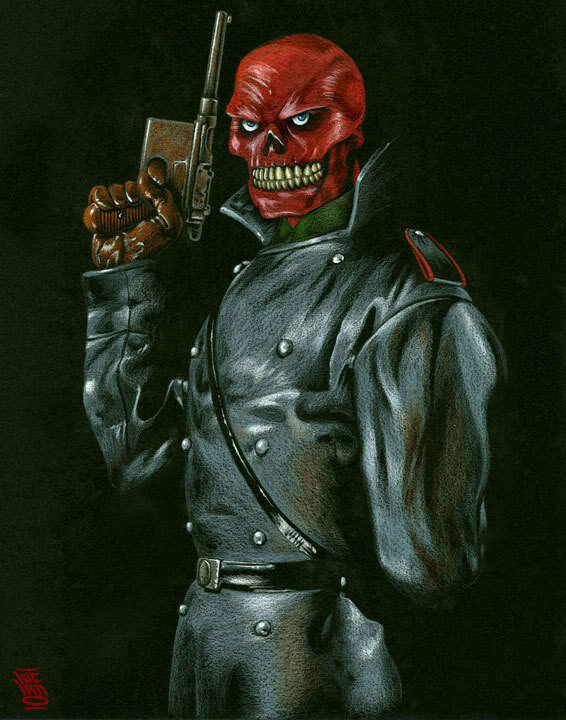 Nope, we still haven’t received any word on who is being cast in the title role, but it appears that we might have an actor for the main villain of the film, Red Skull. Versatile Australian actor Hugo Weaving (The Matrix, V for Vendetta) is in talks apparently to play the evil supervillain who acts as the Nazi foil to Captain America. The actor is currently in tentative talks for the role. This would reunite him with The Wolfman director Joe Johnston who is also helming Captain America: The First Avenger. This is brilliant casting if it works out. Weaving has the credibility as a villain, for proof you just have to look at his work in The Matrix. He is an actor with great diction, which would serve him well in the role of Red Skull. A powerful voice would be needed to give the defaced character more of a personality, since facial expressions aren’t going to be his bag. Read our article about current Captain America casting. Let us know what you think about this casting choice in the comments!